Fans of Star Wars have loved Princess Leida for decades, but after reading her memoir, I realized how little I knew about the woman behind the iconic hairstyle. 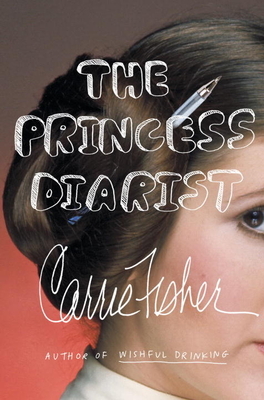 In the The Princess Diarist, Carrie Fischer reflects on her rise to stardom, the pressures of fame, and her affair with Harrison Ford. I found this memoir eye-opeining and honest, but what stood out to me most was Fisher's sense of humor. She made me laugh out loud with her snarky, sardonic narration as she looks into old diary entries from her time on set. As a 19 year-old girl, I greatly appreciated Fisher's overlying message of "Yeah, I was young and dumb once, and that's okay," and as any human being would, I had a great time laughing with her. Carrie Fisher was an author and actress best known for her role as Princess Leia in the Star Wars franchise. She appeared in countless other films, including Shampoo and When Harry Met Sally and wrote four bestselling novels: Surrender the Pink, Delusions of Grandma, The Best Awful, and Postcards from the Edge, as well as the memoirs Shockaholic and Wishful Drinking. She passed away in December 2016.